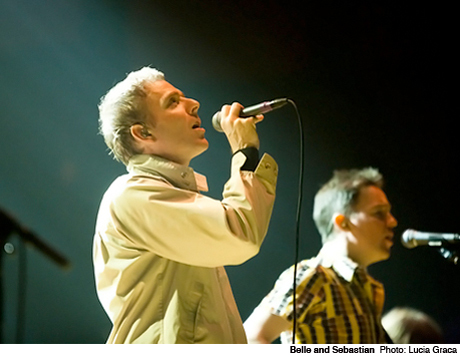 Glaswegian twee deities Belle and Sebastian were recently tapped as the headliners for this summer's Pitchfork Fest in Chicago. If you don't feel like hitting up the Chi, however, they might be playing slightly closer to you, as the group have announced a handful of North American tour dates. In all honesty, they're not casting a very wide net with their tour dates, but they are playing a handful of festival dates in Quebec and Ontario. That includes Quebec City's Festival d'été de Québec, Montreal's Festival International de Jazz de Montréal, Ottawa's Ottawa Bluesfest and Toronto's Urban Roots Festival. The full run of dates is available below. In addition, Pitchfork recently produced an hour-long documentary on the band's seminal album If You're Feeling Sinister. That can also be streamed below.